Ted Talks have become one of the most educating and informative platforms for scientists, authors, mathematicians, and more to share their ideas with the world. And because of their growing popularity, it now seems like everyone wants to give a Ted Talk. In the spirit of fun and nerding out, I wanted to figure out if there were certain factors that made a Ted Talk successful. Turns out, I may have found the formula for a perfect Ted Talk. You can view the spreadsheet here to check it out or use it to answer your own questions. 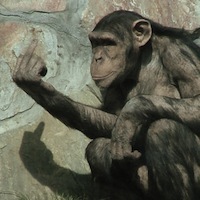 Just please give CommunicationStudies.com a link back if you post anything resulting from it online. The first thing I wanted to know was whether or not there were common words that occurred in Ted Talks. If you knew this then maybe there were common topics and discussions that were more likely to get accepted into Ted than others. This image led me to the first finding. 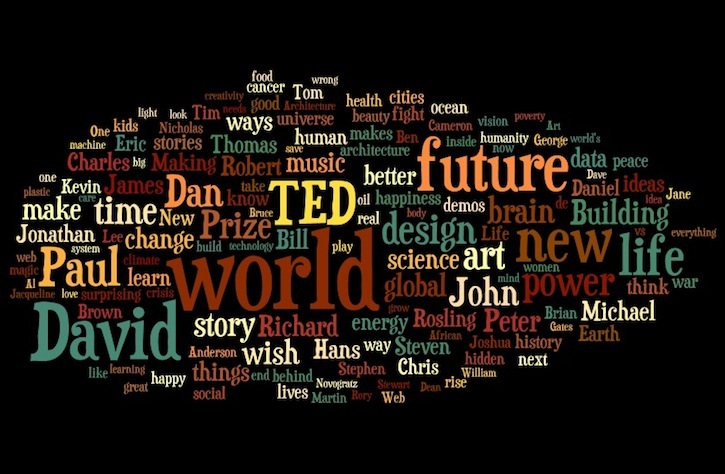 Finding #1: Certain words in your title make it more likely to get yourself a Ted Talk. 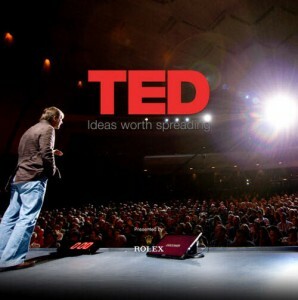 Finding #2: The best Ted Talks average 15.55 minutes long. There are no five star ratings because nearly all ratings would have had to of been 5 stars without any lower ratings. Each star rating covers a span. For example, four stars means 4.00 to 4.99. We can assume from the data that around eleven minutes just wasn’t enough and pushing beyond twenty probably started to bore the audience. Therefore, the best length for a Ted Talk is approximately 15.5 minutes. Finding #3: You’re more likely to be selected to give a Ted Talk if you have a biblical name. When looking at the word cloud, the second thing you’ll notice is that certain names appear quite often — and these names seem to be biblical. So if your name is David, Paul, Daniel, Michael, John, or Peter, you’re also more likely to be given a slot at a Ted Talk. Yes, I wrote this in fun — it mostly just because these names are more common. In fact, David is the sixth most common name in the United States with approximately 3,447,525 men having that name. Finding #4: Men are more likely to give a Ted Talk. Sorry ladies, but males names did appear more often. Hopefully, we see this change over time. But, this also could mean there were just more females with less common names and that is why they did not appear in the word cloud. Here it is, the formula for a perfect Ted Talk. “The Future of the World” by David Paul at 15.55 minutes long. Based on the data, what would you title your Ted Talk? “An archaeology of nothingness,” by Hafaz Macadangdang. Fourteen picoseconds.